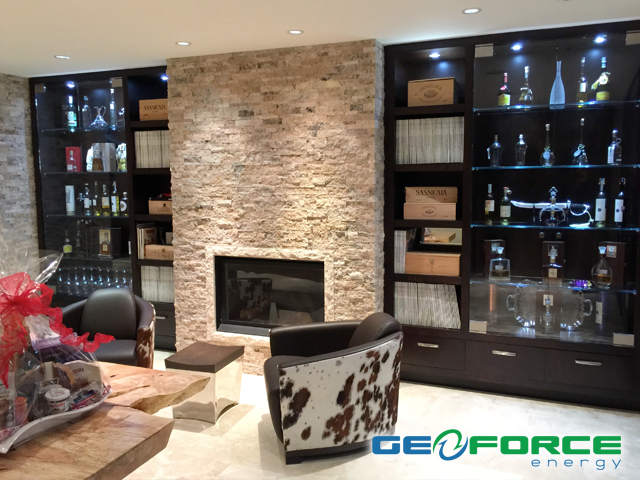 GeoForce Energy can design and install custom wine cellars to protect your most prized bottles and showcase your collection of fine wines. M.A.N. Systems® offers the ONAM line of water-cooled wine cellar cooling units. These cooling units are some of the most technologically advanced on the planet and they are built to last. Instead of relying on a noisy condenser/compressor to exhaust the warm air that is inevitably generated when cooling a wine cellar, these water-cooled units transfer the heat into water, which is then run into the drain. The result is a unit that is ultra-quiet, free from vibration, and able to place nearly anywhere without the worry of proper ventilation. M.A.N. Systems wine cellar cooling units are built like tanks. They also provide an ideal solution for all-concrete cellar enclosures. Wine is a living and breathing entity, evolving as it ages. Many of the wines you collect, both premium and emerging, merit time in the cellar. 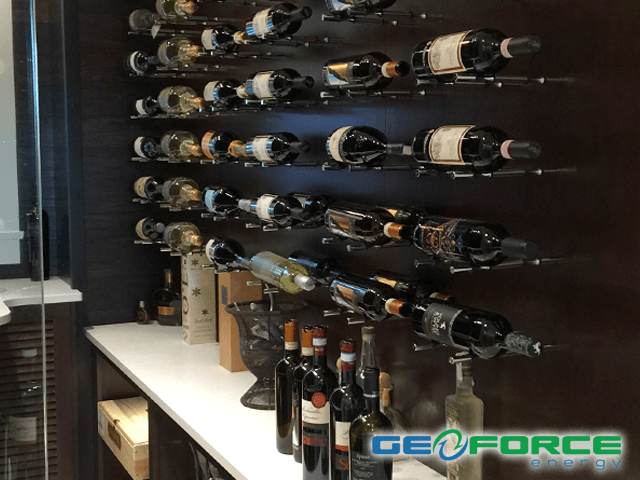 Whether your collection consists of a few bottles or a few thousand, we have the experience, tools, technology and vision to help bring your custom wine cellar dreams to fruition. Select options from our various species of wood or aluminum racking, decorative and handcrafted artwork, tasting and entertainment centers, flooring and ceiling components and various cooling systems. 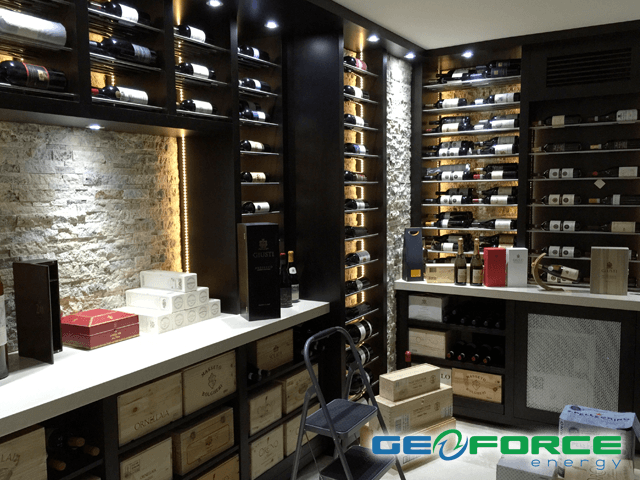 Our custom cellar design team can turn that empty space into a functional cellar for your prized collection or into the showcase cellar that your home deserves. Our job is to guide you through the process of turning your wine cellar vision into reality, and we love what we do. 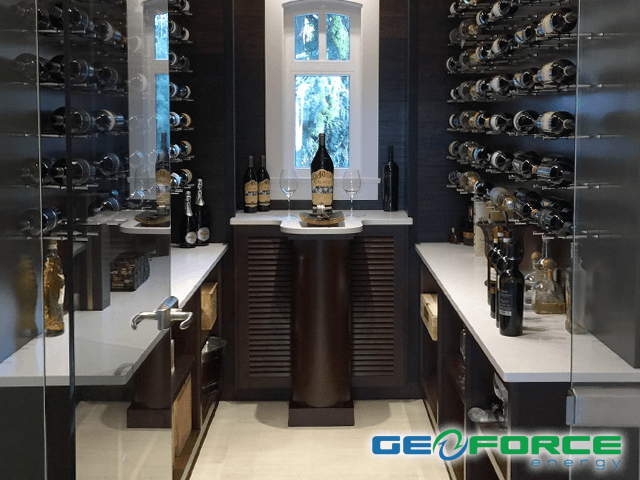 GeoForce custom designed wine cellars will not only enhance the beauty of your home, but will ensure your prized collection is protected and properly showcased. 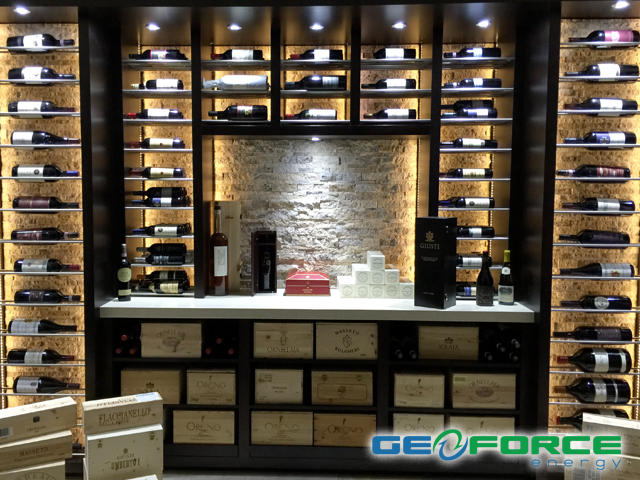 The journey to create custom wine cellars is simplified when working with GeoForce. 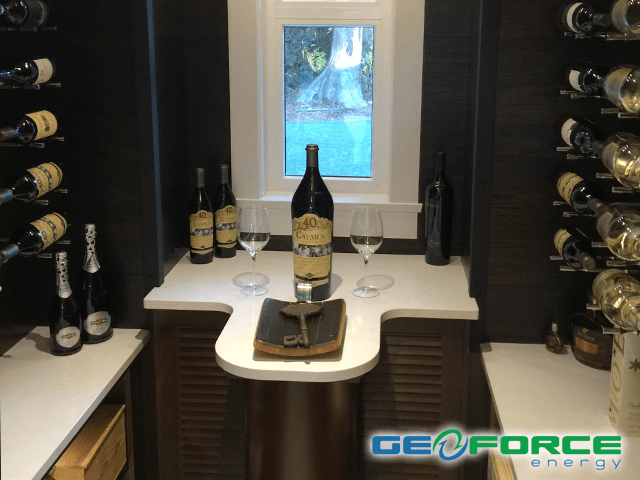 Our custom designed wine cellars allow every square inch to be custom-fitted to the exact specifications of your space and budget so you get exactly what you ask for. Whether you’re looking for a showcase cellar or something more practical and functional, our custom cellar options offer the greatest possibilities. Most importantly regardless of the size, shape or desired style and décor of your space, our professional design team will assist in every step of the process in order to help create the perfect wine cellar for all of your wine storage needs. 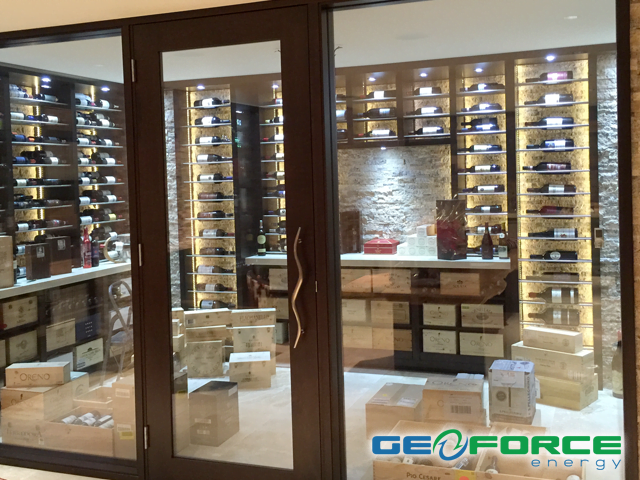 GeoForce Energy offers custom wine cellars in Vancouver, West Vancouver, Squamish, Whistler, Tsawwassen, Burnaby, Richmond, Ladner, New Westminster, Surrey, Delta, White Rock, Cloverdale, Langley, Walnut Grove, Aldergrove, Port Moody, Port Coquitlam, Abbotsford and Metro Vancouver. We’d love to hear from you – no project is too big or small.